It’s always interesting to look back and see how regulation develops. The Affordable Care Act (ACA) is no exception. I wrote a five-part series about the ACA for “Construction Business Owners Magazine” in 2015. I found it interesting to revisit these articles. I share this second article in that series, with some updates, to provide some perspective on the ACA for those of you who are involved with ACA compliance. You have a pretty good idea of the number of people you employ, right? So, what’s all the fuss about the Affordable Care Act’s requirement that you keep track of how many full-time and “full-time-equivalent” workers are on your payroll? There are good reasons for you to maintain precise records on your employee headcount and hours, and to understand what those numbers may mean in terms of your obligations under the ACA. That’s because if you have enough workers to be classified as an “Applicable Large Employer,” you have specific responsibilities about offering health care coverage to your employees, and you have to comply with reporting obligations that companies with fewer employees don’t have. The ACA requires Applicable Large Employers, or ALEs, to offer healthcare coverage to its full-time employees as detailed in federal regulations on “Shared Responsibility for Employers Regarding Health Coverage.” That coverage must meet the standards outlined in the health care law. If your company fails to do so, it will face significant financial penalties presented in IRS Letter 226J. These penalties are not deductible for tax purposes. In addition, the law includes requirements for your company to submit certain reports to the IRS on an annual basis, and for you to provide specific information to each of your employees about the insurance plans you are making available to them. So knowing whether you are an Applicable Large Employer, or ALE, is important. And that’s not always as obvious as it might seem. In general, ALE is an employer who employed an average of at least 50 “full-time” employees on business days during the preceding year. In other words, to be deemed an ALE for 2018, the employer had an average of 50 or more “full-time” employees on business days in 2017. The determination of whether you are an ALE requires understanding of certain “employer aggregation rules” as well as what “full-time”and “full-tome equivalent” means for ALE purposes. First, IRS rules on “employer aggregation” can determine whether an employer is a member of an ALE. For example, two or more entities that have parent-subsidiary or brother-sister relationships may be considered as a “controlled group” for purposes of determining whether each employer is a member of an ALE. Moreover, even companies that are not a “controlled group” may need to be grouped together as “affiliated service groups” by virtue of being part of a “service organization” or part of a “management group.” So, it is critical to identify all of the ALE members in order to perform an accurate ALE determination. Second, you must also understand the definition of “full-time” and “full-time equivalent” for ALE purposes. An ALE is determined by the number of “full-time” and “full-time equivalent” employees. A “full-time” (“FT”) employee for ALE purposes means someone who is employed on average at least 30 hours of service per week. You must also consider what the IRS calls your company’s “full-time equivalent,” or FTE employees. A company’s number of FTE employee is determined in any given month by totaling the number of hours worked by part-time employees (those who work less than 30 hours per week) and dividing by that total by 120. Once an employer has identified all of the other entities which may make it subject to the employer aggregation rules, and has calculated the number of FTs and FTEs for purposes of the ALE analysis, the employer can then assess the extent of its employer shared responsibility and reporting obligations. (If it is part of a group of companies, this assessment can also be made about the group’s other ALE members). The Employer Shared Responsibility Provisions (ESRP) requires ALEs to offer Minimum Essential Coverage (MEC) to at least 95% of their full-time workforce (and their dependents) whereby such coverage meets Minimum Value (MV) and is affordable for the employee or be subject to IRC 4980H penalties. The ACA specifies what constitutes the “Minimum Essential Coverage” (MEC) a health insurance plan must offer, meaning the health services covered by the plan, while “Minimum Value” (MV) refers to the portion of health care expenses the plan covers. Whether a plan is “affordable” depends on the employee’s income. “Minimum Value” (MV) means the healthcare plan’s share of the total allowed costs of benefits provided under the plan is at least actuary 60% of the costs. “Affordability” means the cost of the plan borne by the employee is no more than 9.56% of the employee’s household income. The IRS provides three safe harbors that employers may claim to prove affordability. If an ALE offers health insurance that meets all three criteria, the employer is compliant with the ACA. Organizations can learn more about ACA compliance in 2018, by clicking here. 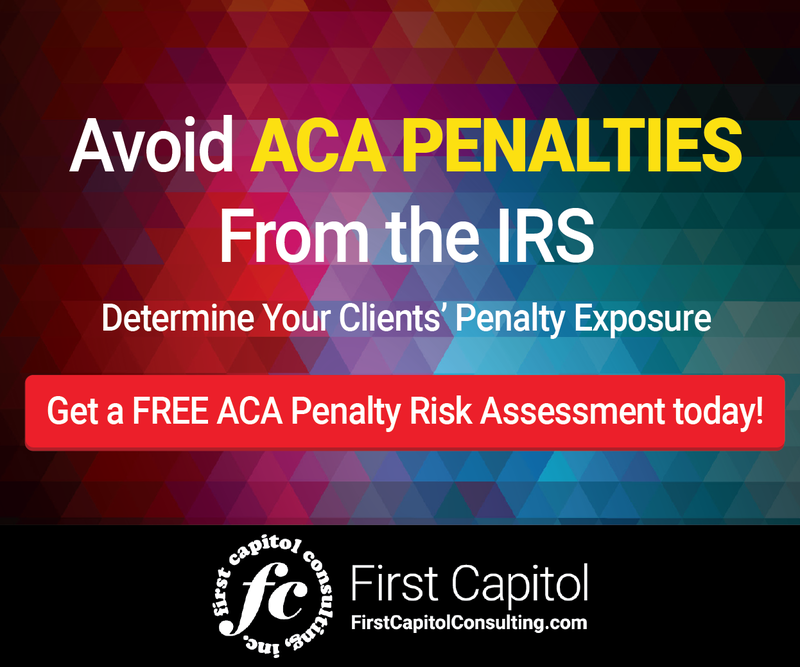 Failure to meet these criteria can result in penalties presented in IRS Letter 226J. To date, the IRS has issued more than 30,000 IRS Letter 226J penalty notices totaling $4.4 billion for the 2015 year alone. By the end of the 2018, the CBO projects that amount could be as high as $12 billion. As for the 2016 reporting year, the IRS has started issuing Letter 5699 to organizations the agency believes were ALEs that failed to file information returns for the 2016 reporting year. 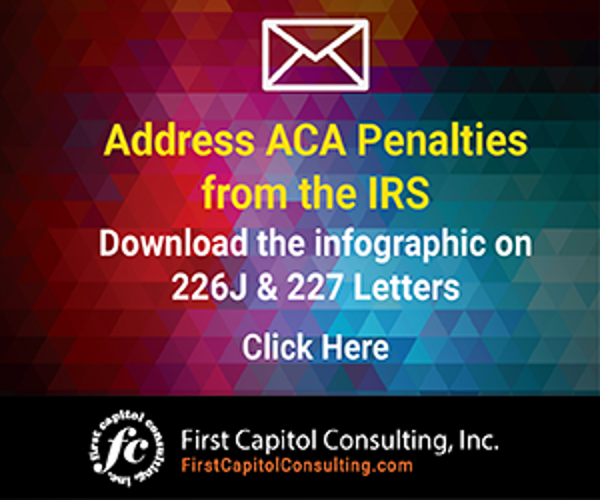 Once the IRS completes this Letter 5699 exercise, we can expect the agency to start issuing Letter 226J penalty notices to those employers that are determined to be non-compliant with the ACA for the 2016 reporting year. To learn more about ACA reporting in 2019, click here. 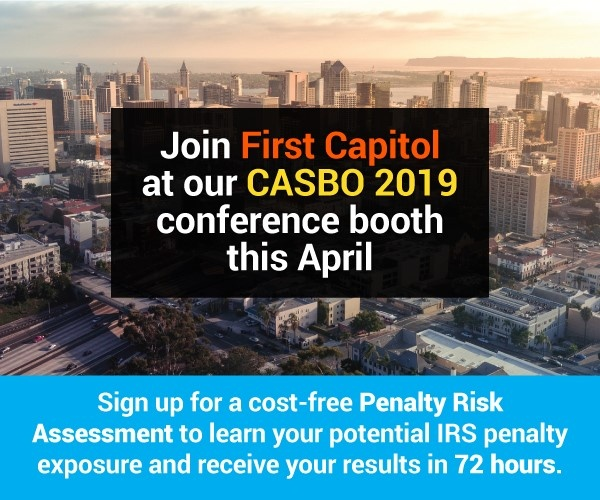 Organizations should familiarize themselves with ALE requirements to understand if they need to annually file ACA-related information with the IRS in order to avoid significant financial penalties.